•	Load ranges from 110kg up to 330kg per wheel. Black polypropylene wheel with a plain bearing. Wheel diameter 50mm, tread width 18mm, hub 21mm, bore 8mm. Load capacity 50kg. 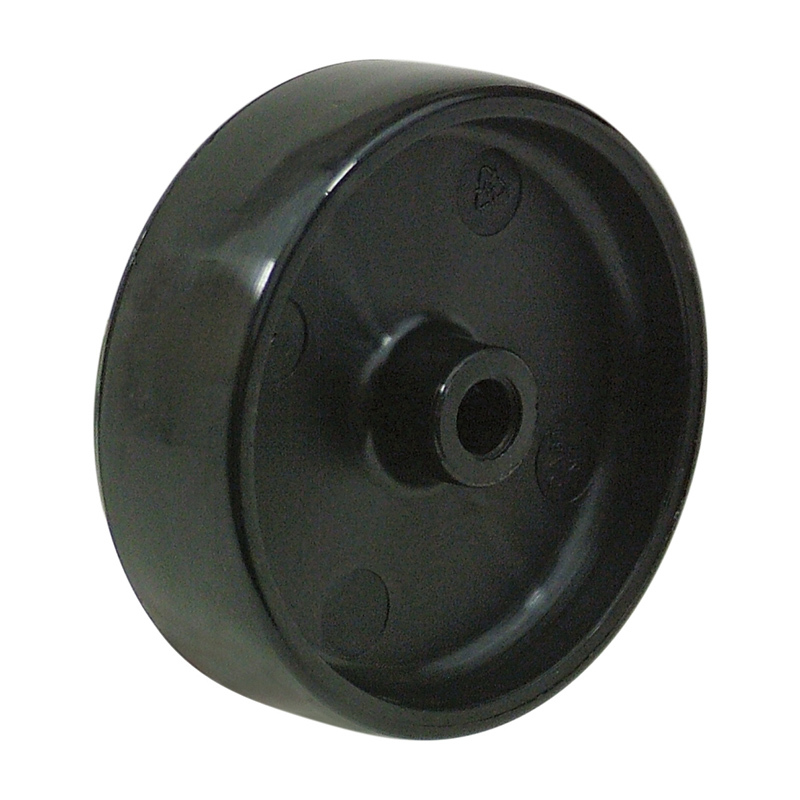 50mm diameter black polypropylene wheel with a plain bearing. Tread width 24mm, bore 8mm, hub 28mm. Load capacity 50kg. 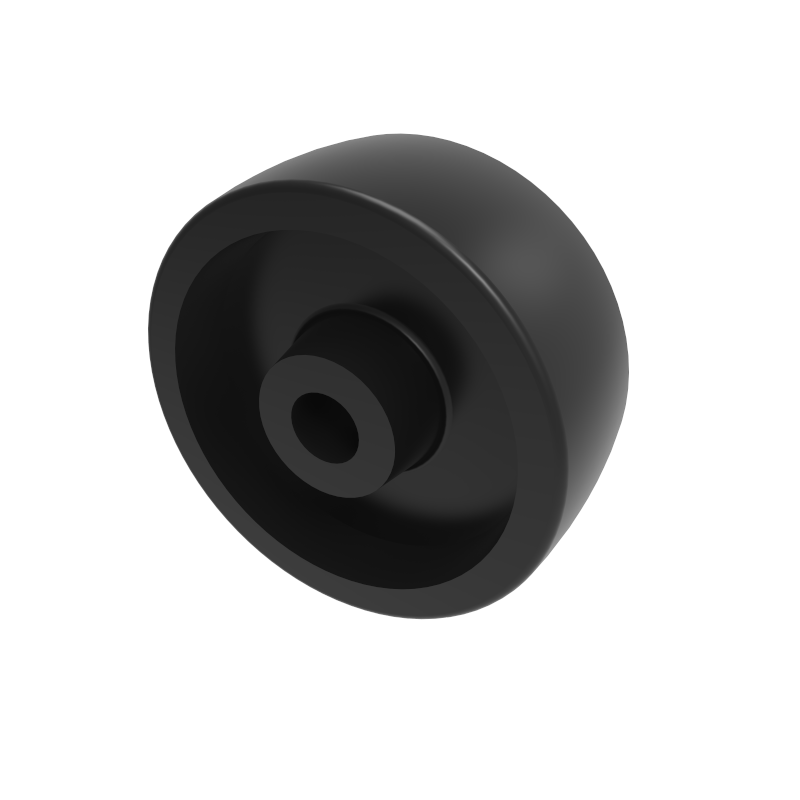 Black polypropylene wheel with a 8mm x 26mm plain bearing. Wheel diameter 75mm, tread width 25mm, hub width 26mm. Load capacity 70kg. Black polypropylene wheel, 60mm wheel diameter, 22mm tread width, 50 kgs load capacity, 8mm bore, 29mm hub width. Black polypropylene wheel, 75mm wheel diameter, 22mm tread width, 70 kgs load capacity, 8mm bore, 29mm hub width. 100mm diameter black polypropylene wheel with a plain bearing. Tread width 32mm, bore 10mm, hub 36mm. Load capacity 90kg. 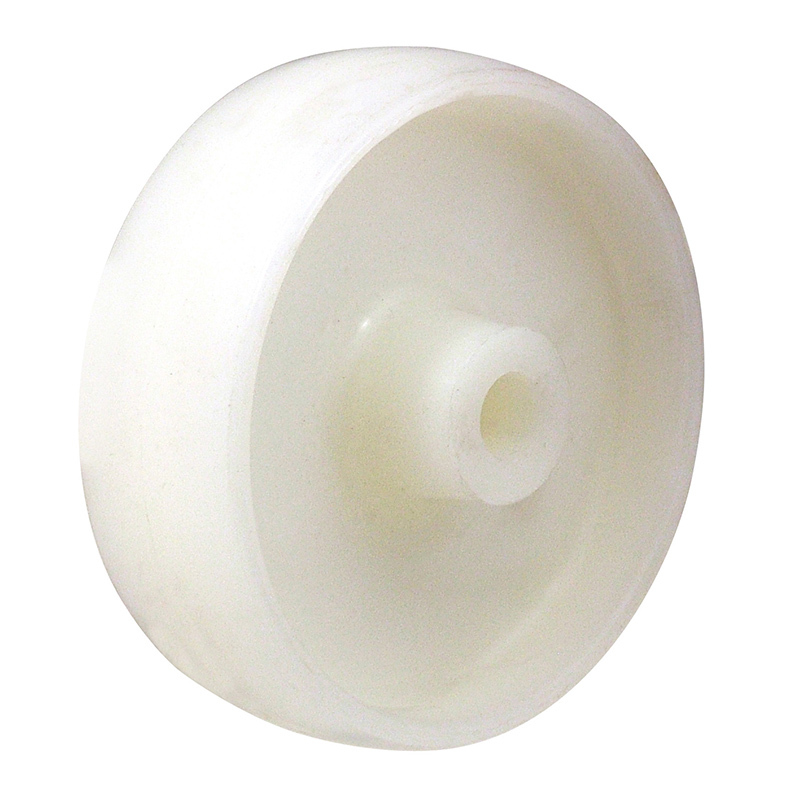 125mm diameter white polypropylene wheel with a plain beaing. Tread width 35mm, bore 15mm, hub 47mm. Load capacity 140kg. 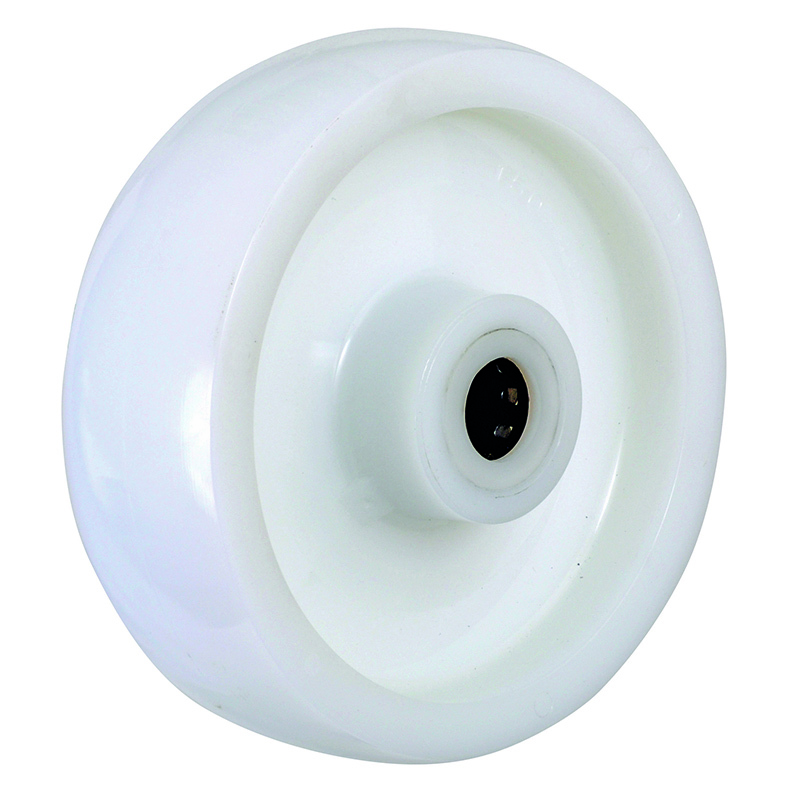 125mm diameter white polypropylene wheel with a roller beaing. Tread width 35mm, bore 15mm, hub 47mm. Load capacity 140kg. 100mm diameter black polypropylene wheel with a plain bearing. Tread width 24mm, bore 8mm, hub 28mm. Load capacity 70kg. 125mm diameter black polypropylene wheel with a plain bearing. Tread width 32mm, bore 10mm, hub 36mm. Load capacity 100kg. White polypropylene wheel with a roller bearing. Wheel diameter 100mm, tread width 32mm, bore size 12mm, hub width 45mm. Load capacity 125kg. 125m diameter black polypropylene wheel with a plain bearing. Tread width 24mm, bore 8mm, hub 28mm. Load capacity 80kg. 150mm diameter black polypropylene wheel with a plain bearing. Tread width 32mm, bore 10mm, hub 36mm. Load capacity 100kg.